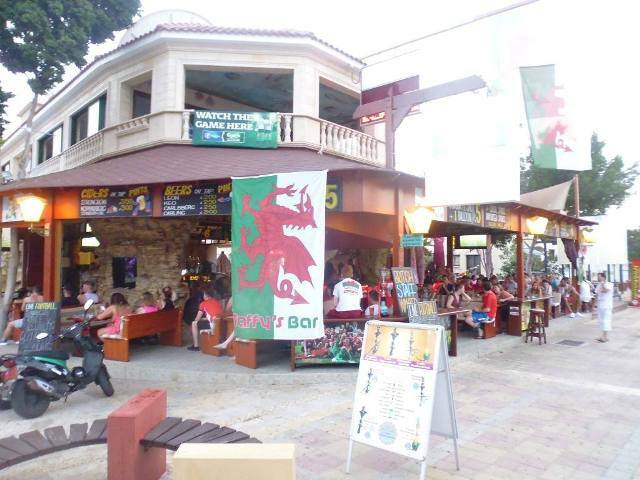 Taffy's Bar is located on the main bar strip or strip in Ayia Napa, (Ayias Mavris). 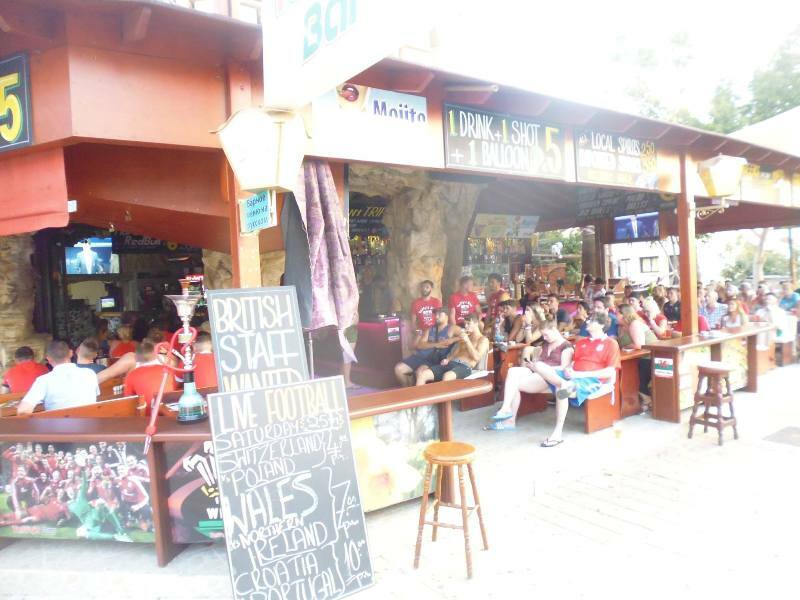 It is open during the day time and at night and shows major sporting events and popular TV shows such as X Factor and BGT on big screens. Taffy's is popular for it's range of drinks offers including cocktails served in hollowed out melons and imported beers on tap. They also have shisha available. ​The closest night club to Taffys is Carwash Disco. 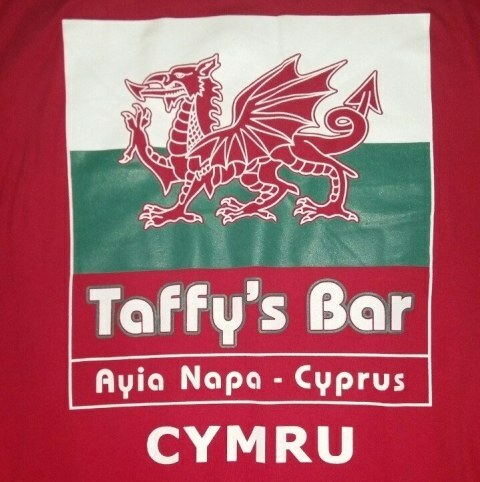 Other bars close to Taffy's Bar are Craigs Bar, Jungle Bar, Rat & Parrot and Anonymous Pub.